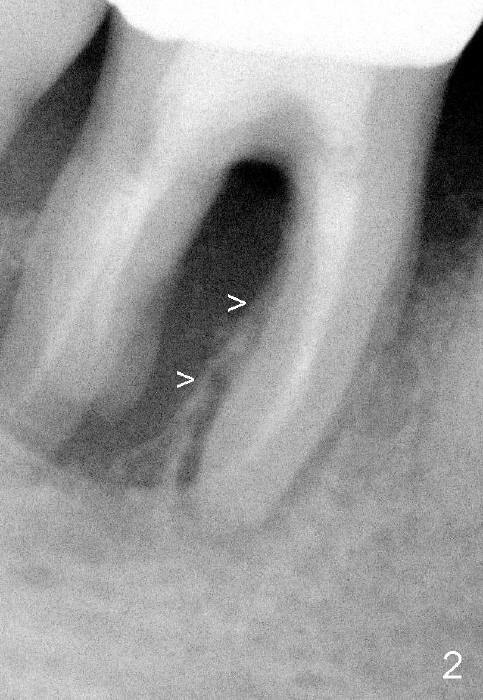 Fig.1,2 show bone resorption of the distobuccal and distolingual roots of the lower right 1st molar. The septum is present preop (Fig.2 >). After extraction, osteotomy is formed in the mesial socket by osteotomes with the purpose of pushing the septum distally. 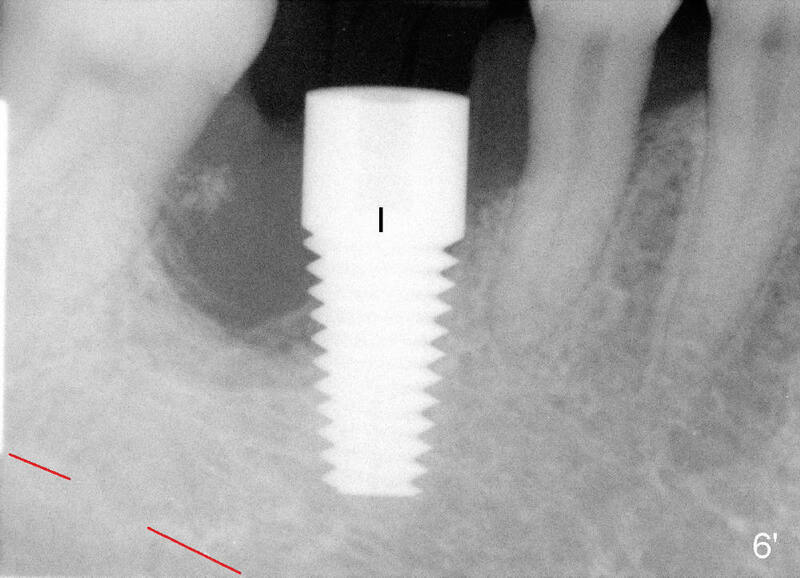 Fig.3 shows a 4.5x17 mm tap in the mesial socket (not stable). 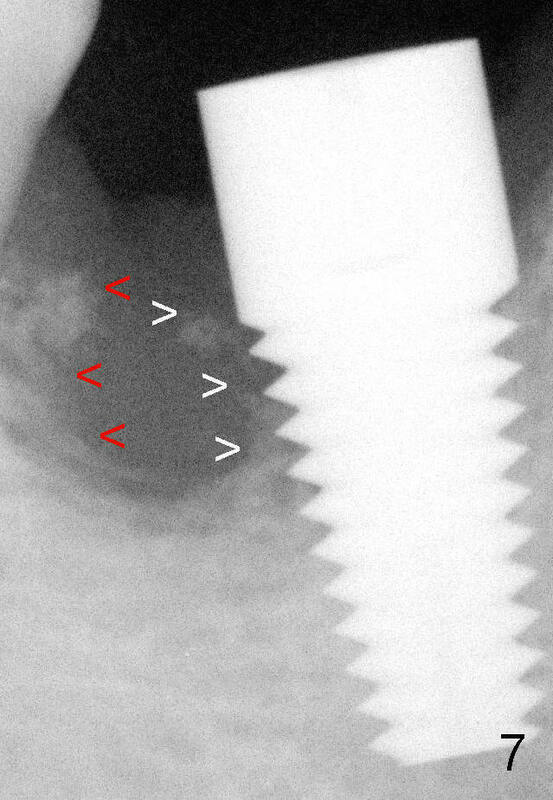 There is 7.14 mm bone between the end of the tap and the upper border of the inferior alveolar canal (red dashed line). 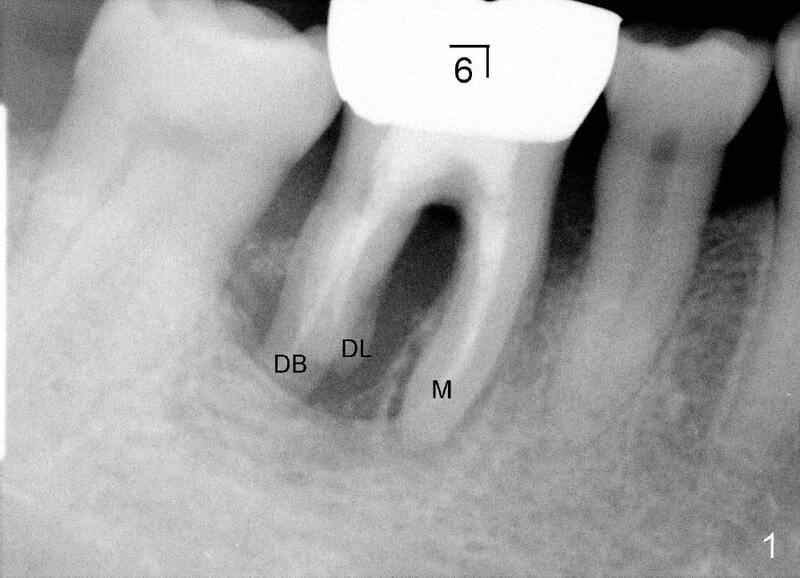 The coronal end of the septal bone (Fig.4 >) is as high as the mesial crest. The osteotomy formed by osteotomes and tap so far deviates lingual. The position of the osteotomy is corrected by using 1.5 mm pilot drill and 3.5, 4.0, 4.5x17 mm tapered drills. 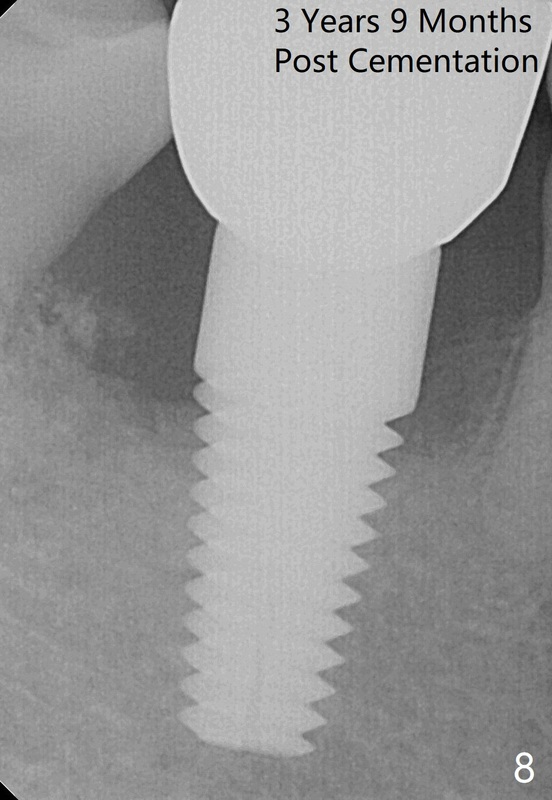 It is followed by insertion of 5x17 mm tap, 6x17 mm tap (Fig.5 with more than 5 mm of the tap surrounded by solid bone) and 7x17 mm tap. 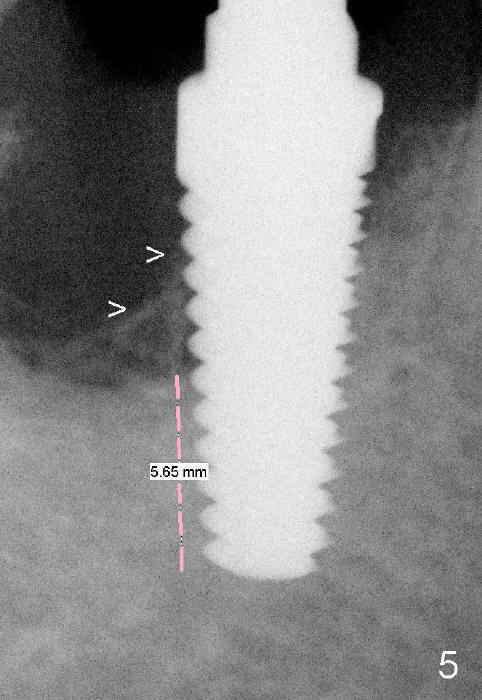 Finally, 7x17 mm implant is placed (Fig.6,6'). It appears that there is no bone contacting the top 3 threads of the implant distally (*). 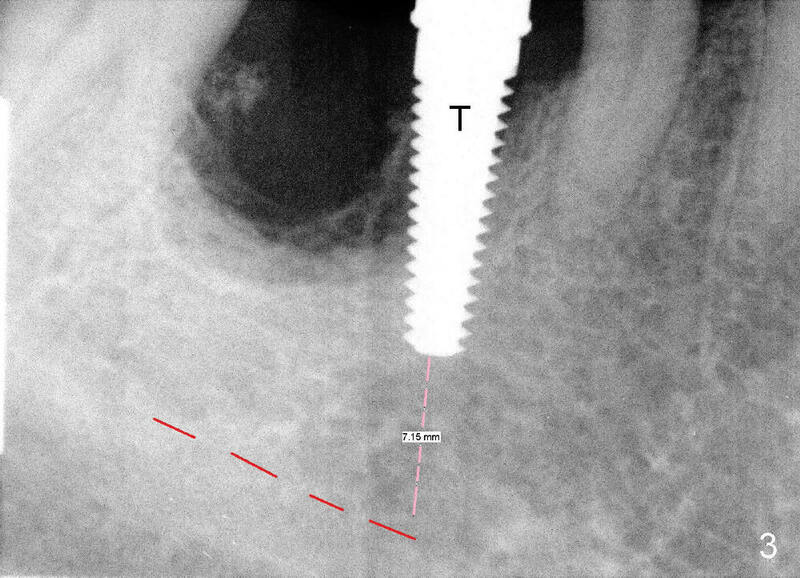 No bone graft is placed at the time of implant placement. It is thought that the existing infection may cause graft failure. 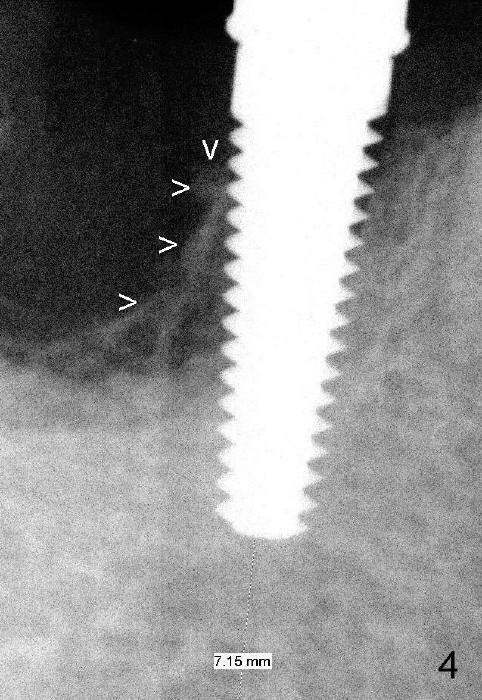 With attention paid to eradicating socket infection (pre-, intra- and post-op antibiotic and removing granulation tissue after extraction), bone graft can be placed safely at the time of immediate implant. 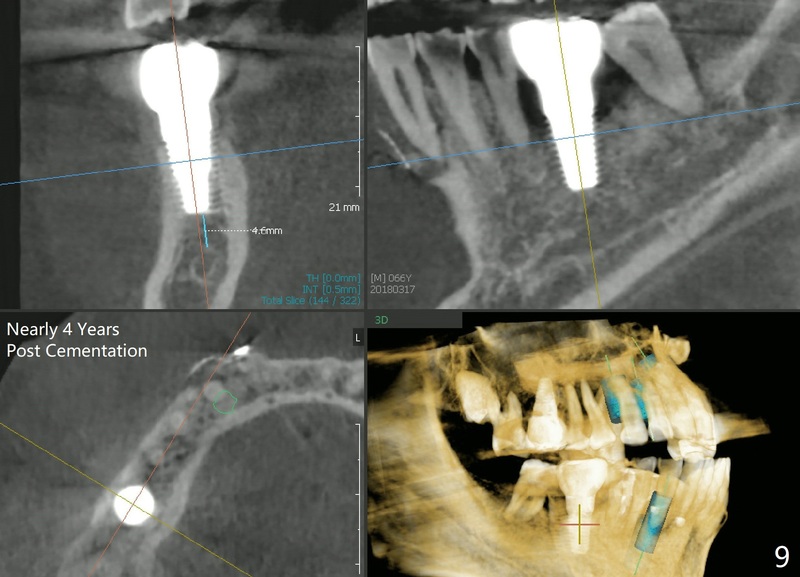 Three months and 3 weeks later, there is bone contacting the coronal 1st three threads of the implant (Fig.7 white >). It would be safe to predict that the bone will meet the bone indicated by red arrowheads to form the distal socket in the near future. The mesial defect appears to have been repaired 3 years 9 months post cementation (Fig.8). 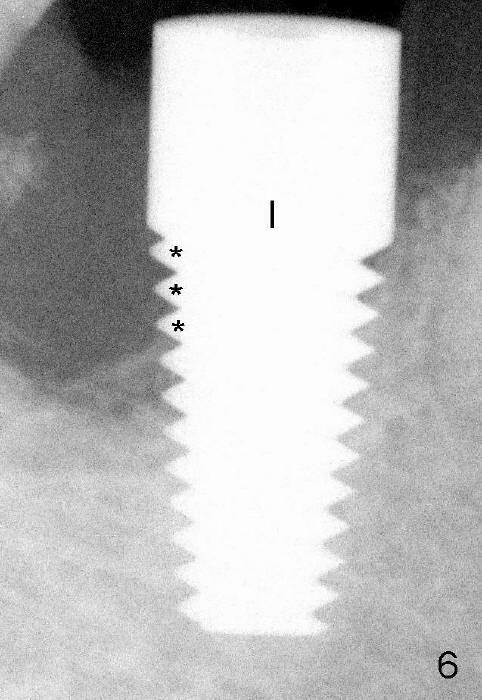 The7x17 mm implant is placed lingually enough (Fig.9). It should be 2 mm more apically.